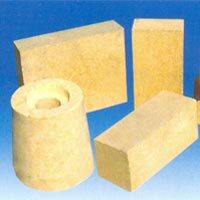 We bring forth high quality High Alumina Bricks, which is manufactured to meet the requirements of neutral refractoriness where safe working temperature is more than 1300 degree centigrade. We offer High Alumina Bricks in different specifications as per customer requirements. The above dataare on average result basis of pressed standard bricks & may vary on actual. Size Tolerance : +/-1.5% OR +/- 2.0mm whichever is higher.